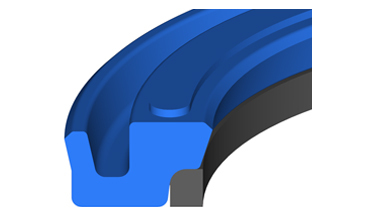 Polyurethane buffer seals are produced with a durable, tough urethane and they incorporate an anti-extrusion ring for high pressure applications. They're frequently used in fluid power applications, and can handle high pressure spikes, internal system contamination and can vent back pressure. Designed with standoff pedestals and notches, back pressure will never be trapped between the buffer seal and the rod seal, ensuring a long life for the application.